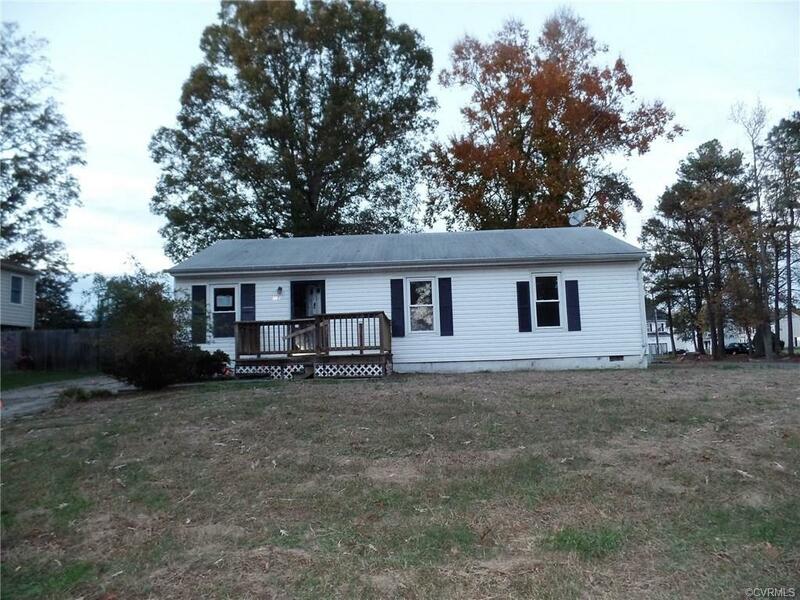 This is the LOWEST priced 3 bedroom, 2 bathroom home in the area! This lovely home, perfect for those eager to own their first home or downsize, is seated on a corner lot and has loads of potential. Just walk inside and you’ll easily see this home’s charm and appeal. The living room boasts ample space, a vaulted ceiling, and laminate flooring and flows gracefully into the dining area. The dining area has a ceiling fan and is adjacent to the screened porch and kitchen, making it easy to mingle with family and friends during get togethers. The kitchen is quite charming and offers an oversized doorway, newer cabinets that are accented by stunning backsplash tile, laminate floors, a ceiling fan, and stainless steel appliances. The master bedroom boasts an en-suite bathroom, which is ideal for those who want their own privacy. The hall bathroom offers a charming, contemporary style vanity with decorative backsplash tile and wainscoting. The home needs some work, most of which is cosmetic, such as painting, but is an amazing deal. HUD homes are sold as-is, with no guarantee or warranty by the Seller or Listing Broker.